New figures show the proportion of girls on the Isle of Wight getting vaccinated against the potentially cancer-causing HPV virus has fallen in recent years. The proportion of girls on the Isle of Wight getting vaccinated against the potentially cancer-causing HPV virus has fallen in recent years, new figures show. 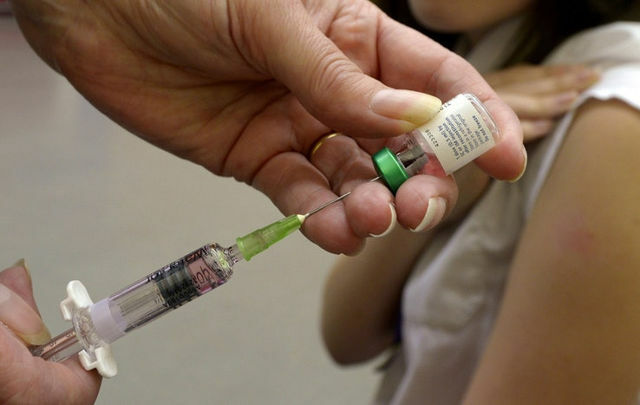 Public Health England figures show 87.6% of girls on the Isle of Wight were given the recommended two doses of the vaccine by the end of Year 9 in 2017-18. This has fallen from the 2013-14 when 92% of girls completed a full course of vaccination, but is still above the national average. The figures mean 83 Year 9 girls were left unprotected. The HPV vaccination protects against the human papilloma virus, which is responsible for more than 99% of cervical cancer cases as well as some other rarer cancers. Cervical cancer charity Jo’s Trust said it was important “not to get complacent” despite overall coverage remaining high. “The vaccine is one of the best tools we have for preventing the disease. However, a spokeswoman said the immunisation programme was still “one of the most successful around the world” and had helped protect millions of girls since its launch in 2008. “The first group of girls to be vaccinated are now approaching the age where cervical cancer risk increases.